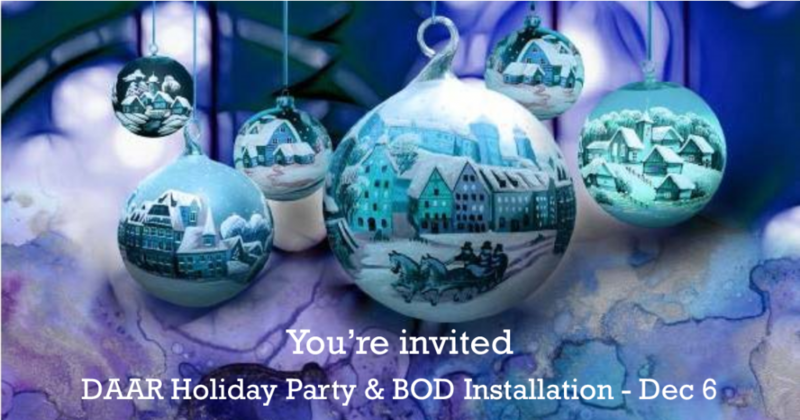 You are cordially invited to DAAR’s Annual Holiday Party & BOD Installation! Celebrate the holiday season and participate in the installation of 2019 President Phyllis Stakem and the DAAR Board of Directors. Please remember to bring a gas gift card to the event to benefit the Loudoun Abused Women’s Shelter (LAWS). To participate in the DARPAC Wine Grab, click here! For more information view the flyer.